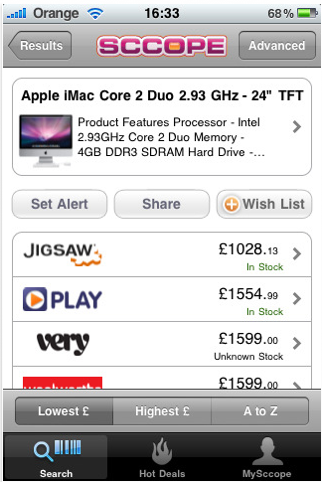 In recent weeks I have been in app central. I got my first iPhone and downloaded like mad. I also have some expert advisers on hand to make sure I pick the best ones. Here is my top 10 pick (and my handy advisers' picks) for your app-enjoyment. Appsolutely Fabulous! 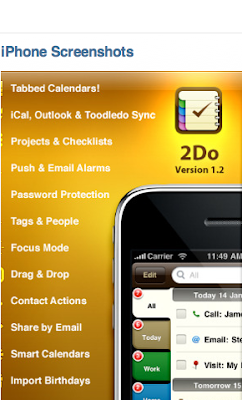 Toobz - Free or 59p- As recommended by me. This is a fun game! Or is it that I just have nostalgia for the Pipe dream game I played for hours on end on my very old Apple Mac? 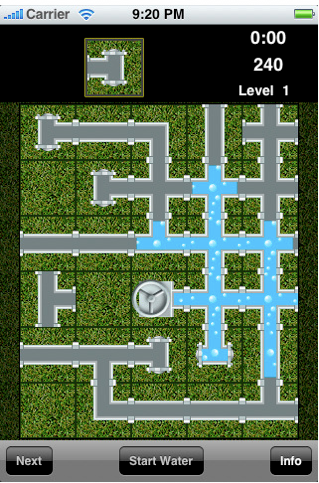 Race against the clock to build a network of pipes before the tap is turned on. 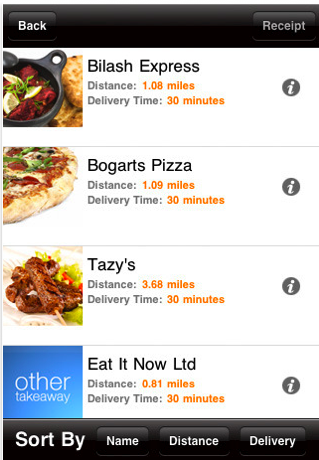 Eat it Now - Free - This nifty app lists all your local deliveries so you can order from the comfort of your sofa - no need to keep that drawer of takeaway menus that come through the door any more! Fill it with old batteries instead. Sccope to save - £1.19 Check you're getting the bestest bargains on every purchase - be it TVs or tea - you can see where to get it cheapest and if the price has gone down recently. Power to the people! 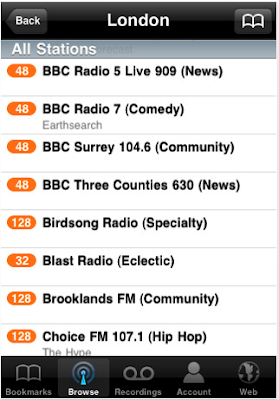 Tuneinradio - £1.19 - lists every radio station you could ever desire so you can just click and listen. You can also bookmark your favourites. Nifty. 2Do - Free or £3.99 for the full version - If you like writing lists (and I most obviously do) you'll love this app - note down all your to do's for the day and enjoy ticking them off - you can synch it with your calendars and even create alarms. Nice for the chronically unorganized. Nice for the organized obsessive. Plus it has won a bunch of awards for design and usability. Vouchercloud - free - actually when you write free you should actually write the amount of money this app has managed to save you after a month - or a year! Fancy a meal? It finds you vouchers for local restaurants, fancy going shopping - save 20% off a boutique. Ahh so good. 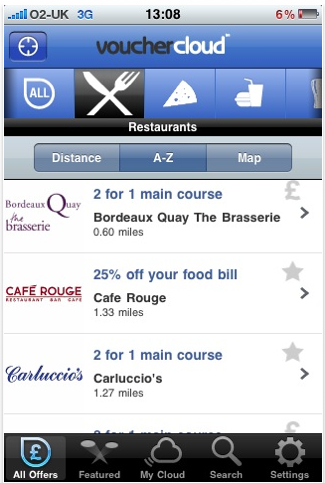 What's not a good idea however is to merely eat somewhere because there is a voucher on voucher cloud. Fiance and I did this on sat night and had one of the worst meals on record in Auberge. Note Auberge is not a good chain. Stick to Pizza Express or Strada. 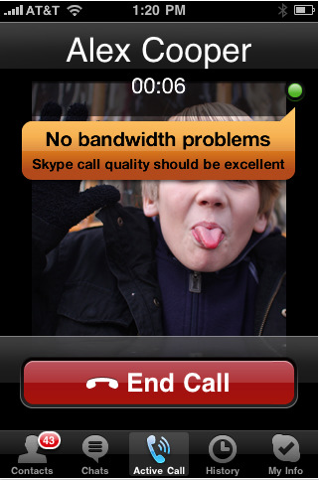 Skype - free - this is so obvious - get all your friends on it and when you have wifi access you can all call each other or message for free. FOR FREE! 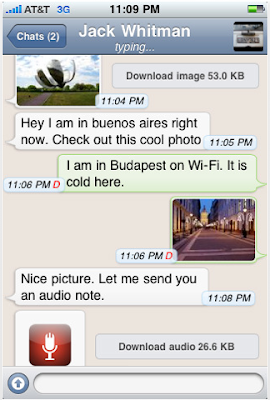 Whatsapp - 59p - Another freebee. Get all your mates on it and you can message eachother for free no matter what country you are in. WOoohooo! 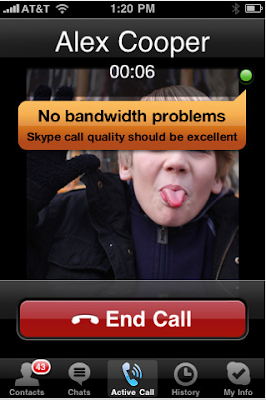 Chat all day for all I care! 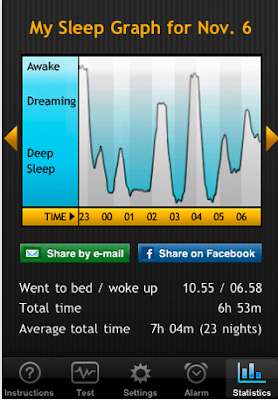 Sleep Cycle - 59p very interesting concept - get this app then leave your iPhone on your bed all night and it uses motion sensor to monitor your movements to tell when you are in light sleep. It then wakes you up when at the right time so that you feel refreshed. Doesn't however work if you have an annoyingly fidgety Fiance in bed with you as I have found out. maybe better if you're single. 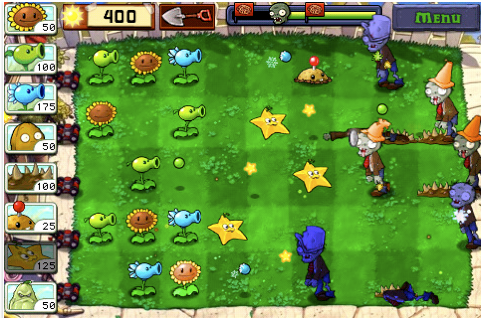 Plants vs zombies - £1.79 - This game has been given a full five star rating by people who've bought it and I LOVE the desktop version. 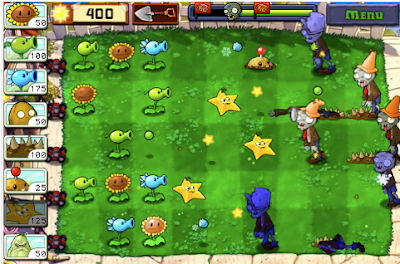 Plant plants strategically to fend off the zombie invasion and avoid getting your brains eaten. Mmmmm brainsssss. So addictive that I played it for 4 hours straight and gave myself backache.